The former junior welterweight world titleholder and contender Amir Khan has every right to be proud of his fight with Canelo Alvarez despite he lost it. He dared to be great by challenging the world champion and dared to move up to middleweight. Although it didn’t work out for the British as he had hoped, he had a performance worthy of respect. He tried and failed, but some don’t even try and stay in their comfort zone where they fight weaker opponents. I just finished browsing Australian online casinos listed at casinoshortlist.org when I tuned into the fight. His numbers were great in the first five rounds. Throughout the fight he threw 166 punches and landed 48 of them, which in the end meant 29% percent success. But, Alvarez threw 170 and landed 64, and his percentage of 38% is clearly the difference in quality. Khan held up very well up until the sixth round when Alvarez’s mammoth right hand erased him and threw him on the floor. It’s what most of the people expected that the fight will end this way, with Alvarez landing a knockout-of-the-year punch. 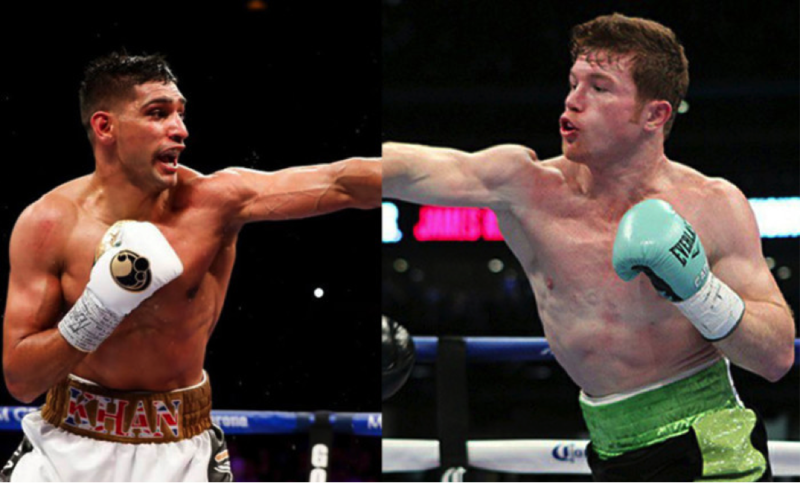 But, up until that moment Khan showed great skill and speed which gave Alvarez big problems. According to Oscar De La Hoya, Alvarez said that he was very frustrated at how he couldn’t deal with Khan in the first couple of rounds the way he wanted. Previously in April De La Hoya predicted that Khan was going to beat Alvarez easily. He was a bit off in his prediction, but Khan proved why De La Hoya thought that way. De La Hoya said that he loves watching Amir Khan fight because of his exciting skills and bravery. He has the will to be great, he didn’t lose anything with his loss against Alvarez, and he is confident that Khan will come back fast. Even Connor McGregor was impressed by Khan. Truth to be told, De La Hoya is correct. Other fighters seek out soft touches or are used to snivel over a couple of pounds difference, while Khan went directly for the glory. He didn’t let Alvarez’s pounds stand in the way of a chance to be greater than him. He nearly succeeded with his near perfection through five rounds. His only fault was letting Alvarez’s power shine through the sixth round when he received his vicious punch that left him out on the canvas. After the fight Khan wrote on social media that he expects more huge fights and that he is sure his stocks have risen. He hopes that everyone enjoyed the fight and said that he won’t stop at his quest to be great. Khan also displayed great sportsmanship by sending compliments to Alvarez about his win. He showed that he is anything but sore loser. He also said that his plans for the future include moving back to welterweight where he will try for the belt held by Danny Garcia. He is after all the top-ranked contender in welterweight. His only fight in 2012 in their junior welterweight title unification fight ended with Garcia winning in the fourth round. A rematch would be really exciting and well expected. Related – Is Manny next?